Developments in Development is a “weekly” column recapping real estate, housing, planning, zoning and construction news. With Mexico City still reeling — though working valiantly to recover — from the Sept. 19 earthquake, there’s been no shortage of local what-iffery. And I’m going to join in, because now is as good a time as any to grapple with the unpleasant possibility: We could be next. Aside from doing some personal preparation (If an earthquake hits, how will you make sure you have access to your medication, your important documents, cash, food, water? Do you know where you’ll meet your family members if you can’t call them? Do you have a basic plan? Check our series on disaster training). We have a few handicaps as a city when it comes to seismic activity. For example, a good portion of the city — and, yes, a good portion of the Mission — is built on soil that will essentially be quicksand if the big one hits. See, for example, this map. 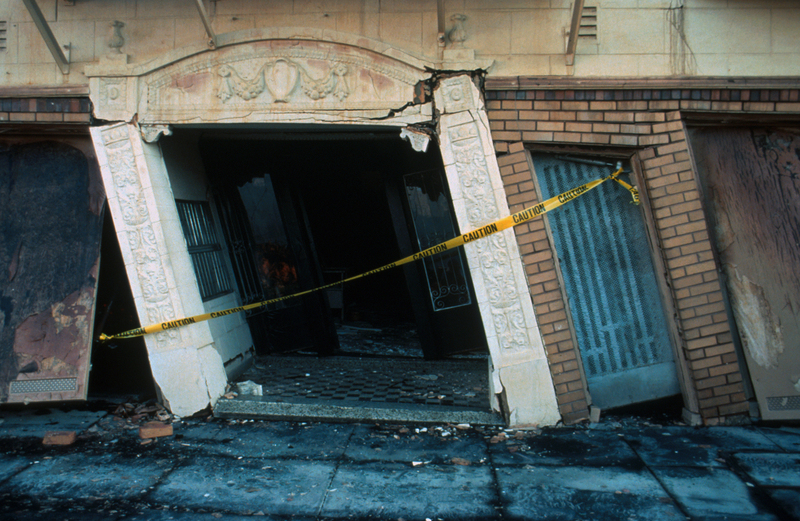 This is why the city is mandating seismic retrofits — though nearly 500 buildings have missed their retrofit deadline. The other earth-shaking real estate and development topic du jour is, of course, SB35, which passed last week in a bid to get housing permitted faster. Our state legislature has now pulled the trigger on this hotly debated piece of legislation, and if Twitter is any indication, the governor is supportive. The idea is to force municipalities to approve housing developments as a matter of course, aiming to reduce or eliminate time-consuming hearings, appeals and other delays. The bill makes some key distinctions — the streamlining only goes into effect for the type of housing on which a municipality is not meeting its state-set goals. San Francisco is reaching its production goal of market-rate housing, so those projects won’t be streamlined, unless things change by the time it goes into effect Jan. 1. Affordable housing, however, we are far behind on, so buildings that include 100 percent below-market-rate housing will be streamlined by the bill. Supporters (it was championed by San Francisco’s own former D8 supervisor and state Senator Scott Wiener) cheered its goal of efficiently speeding up production of much-needed housing. Detractors are concerned that it will simply steamroll communities that have valid concerns about what’s being built in their neighborhoods, including parking, traffic impacts, design and affordability levels. If the city falls behind on its state goals on market-rate housing even by a hair, activists will lose a lot of their bargaining leverage there, too. In fact, quite a bit has happened at the state level recently — a $4 billion housing bond is going on the ballot that would create funding and fees on certain real estate transactions, which would go into the state’s housing coffers. Plus, as two affordability advocates write in the San Francisco Examiner, an adjustment was added to a bill that would have allowed the city to force projects using the state density bonus to still include the local (higher) portion of below-market-rate housing. The adjustment gives the state the power to decide whether or not San Francisco implements that bill — which advocates say effectively kills it. The most recent American Communities Survey (interim mini-census) shows that San Francisco is more crowded than it was last year, and generally a touch younger. And our annual median income is now officially six figures: We’ve surpassed $103,000 a year. Sure, rents have stagnated a little and slapdash luxury condos are selling for a little less, but this is still a city where an uninhabitable scorched heap of a building sells for more than $1 million. Or where a condo with exposed pipes for some bizarre reason running along the ceiling still appreciates in already somewhat nutty value over a few years. And, if you’re on a budget, staying under that elusive $1,500 line on monthly rent, you’ll likely be looking at barely more than 300 square feet of living space, RentCafé shows. Berlin is on that list of sought-after locations RentCafé studied, and offers comparatively palatial spaces for the same price — I wonder how, and if, that may change, now that a court has ruled the city’s rent-control law, really a little closer to a rent cap, unconstitutional. For all my talk this week about state initiatives, our local public figures been busy, too. SocketSite reports that Planning is asking the developer of the Mission Bernal plot where Cole Hardware used to stand (and may again) to take advantage of local density bonus laws and build higher than the allotted zoning. Curious to see how that one will play out, given that following this recommendation would mean the developers suddenly need to do all sorts of things they didn’t before, like include below-market-rate units and go through a public hearing. But that is small potatoes compared to the potential showdown that activist groups are apparently hoping to bring to the Mission District: Members of the Plaza 16 coalition, the avowed foe of the 1979 Mission Street project at 16th, went to the Planning Commission to request that the hearing for that project be held in the Mission. No word yet on whether or not Planning will facilitate this. The last big public meeting in the Mission for that project was, um, spirited.